Culinary Festival "The Cuban Flavor"
As part of the celebrations for the 495th anniversary of the founding of the city, Old Havana hosts the V Meeting of rescue and promotion of culinary culture of Cuba, "The Cuban Flavor", from November 12 to 15. The meeting has the distinction of bringing the most exalted expert in local cuisines along with foreign guests and the variety of locations taken as a good range of restaurants and bars in Old Havana. The meeting has variety in topics and tastings from the outset at the Hotel Ambos Mundos with a lecture by city historian Eusebio Leal, the main promoter of the restoration of the city and deep knowledge of the traditions of this country. Leal, director of the Office of the Historian of Havana, stimulates between chef, bartenders and other specialists to recover ancient formulas of island cuisine, while connoisseurs will bring those ideas inclinations for human health. 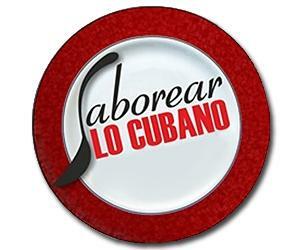 The program (combines Cuban and foreign influence) includes lectures and workshops organized by restaurants depending on their culinary specialties with massive end in Plaza Vieja. This is an event that experts designed for gourmet and also attracts the attention of travelers from around the world during those days when Cubans celebrate more than four centuries of a very cosmopolitan city.